Outsourcing IT services or Information Technology has been projected to be a major trend in the growth of global outsourcing. Yet, despite the popularity of social media and the growth of smart phones, businesses have yet to fully embrace the advantages of digital technology. Proof of this is that only 47% of small businesses have websites. This number is significant when you consider that almost 98% of businesses registered worldwide would be defined as small business in their geographical location. One would think that with more than a billion people surfing the Internet every day, more businesses would be putting up websites. But the undeniable fact is that technology plays a pivotal role in the success of a company. Technology overcomes logistics; bridges distances and breaks down barriers. Businesses that want to expand their scope have to allocate resources to keep their technologies current and updated. People who argue the case versus outsourcing fail to consider that job losses in the IT industry are a direct consequence of the need to introduce efficiency through automation of services. Automation results in longer work hours without incurring additional expenses in salaries. Because wage rates are on the rise, some companies feel shifting from a labor-intensive to a capital-intensive strategy will offer a greater value proposition in the long-run. Outsourcing was primarily used as a cost management strategy because businesses capitalized on comparative cost advantages and economies of scale prevalent in other countries particularly in the cost of labor. But low wage rates do not equate to low talent or substandard skill levels. On the contrary, countries like India and the Philippines are reputed for having some of the world’s best talent in the field of IT. Companies need to open their minds that certifications in certain programs are a requirement whether you are a software engineer in California or a software engineer in Manila. In addition, developing economies have the infrastructure to support IT operations. On the contrary, by outsourcing services, companies can reduce operating expenses by an average of 40%. Companies that hire regular staff are required to pay benefits and compensate people on a fixed monthly basis. This means that companies pay their employees when they take extended coffee breaks, check their social media accounts or observe water cooler chatter. When you hire outsourced workers not only are their wage rates significantly lower, but you only pay them for the actual hours worked. This misconception is either borne out of lack of research or the existence of cultural biases. Countries such as India and the Philippines are updated in technology otherwise companies would not continue to outsource services to them. Low wage rates are an attractive factor to outsource. But the greater concern would be the capability to render consistently high quality work because whatever you save in costs will easily be offset by huge losses if the final product is below standard. On the contrary while outsourcing benefits all companies regardless of size, it benefits small businesses more because of its ability to reduce costs. Small businesses have limited capital and access to funding that they need to manage resources efficiently. 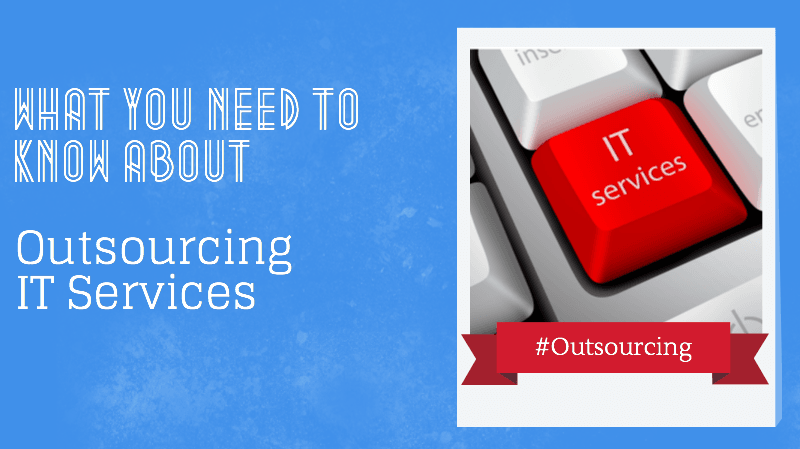 Outsourcing IT is a viable strategy for any business that wants to update its technology without breaking its budget. It is a process that not only saves the company significant money but it continues to enhance the quality of the product or service.